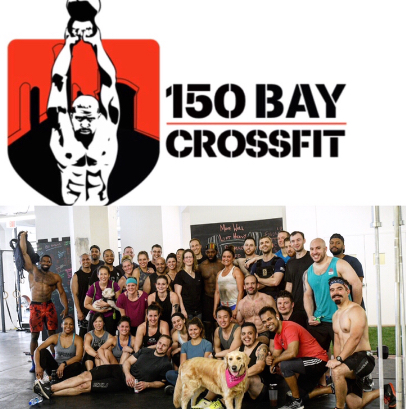 Led by Men’s Health “Fittest Trainer” Andre Crews, 150 Bay CrossFit is a fitness community where members are more than scannable ID cards. Through hard work and physical achievement, members will experience true camaraderie in which they become a family: pushing each other and striving everyday to be better than the day before. All of our workouts are led by CrossFit Level 1 & 2 Trainers that will provide instruction, technical guidance, inspiration and coaching throughout each hourlong class! All workouts can be scaled to fit every fitness level!